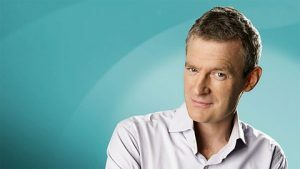 On Wednesday our Co-Founder Dominic Cross was interviewed by BBC Radio’s Jeremy Vine. Bizarrely, given that this was radio and not TV, they insisted on the interview being done at our base at Cotswold Airport and that we should be flying a drone whilst the interview was conducted. If you missed it then you can listen to it on the player below.